Ukraine is the largest country in Europe known for its Orthodox churches, picturesque mountains, and the Black Sea coastline. The country is an undiscovered gem of colorful traditions, cultural experiences, and warm-hearted people. 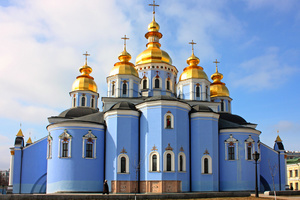 Our Ukraine tours explore Kiev, the capital of Ukraine, its gold-domed St. Sophia's Cathedral, featuring 11th-century mosaics and frescoes, Pechersk Lavra monastery complex, housing Scythian tomb relics, offer sightseeing tours of sophisticated Lviv and partying resort Odesa as well as comprehensive historical and cultural Ukraine tour packages. Meet one of Europe’s last genuine travel frontiers offering off-the-map experiences. You can take a tour of your choice from a wide range of Ukraine guided tours. You can travel with your Ukraine personal tour guide to Kiev, Odessa, and Lvi, as well as to the countryside castles surrounded by beautiful nature. Kiev with its ancient history as the foundation of Kyivan Rus, Lviv, sophisticated capital of Western Ukraine and Odessa, a historic city on the Black Sea, featuring a specific culture, magnificent opera house, and beautiful beaches will surprise you. Odesa private tour will take you to the places known only to locals featuring famous Odesa atmosphere, while Lviv guided tours will allow you to discover unexpected Ukraine. Ukraine is home to many beautiful places offering a good range of tourist activities. Some regions are advised not to be visited due to separatist clashes, but most of this large country is open for business and tourism. Regardless of its troubles, Ukraine is a special destination because of its beautiful landscapes, historic cities, ancient castles, natural countryside, and open-hearted welcoming people. Kiev, the capital city of Ukraine, has a long and rich history, superb churches with golden domes, distinctive architecture, and vibrant city life. Whether you are on a private tour or traveling independently, Kiev has lots to offer for sightseeing. 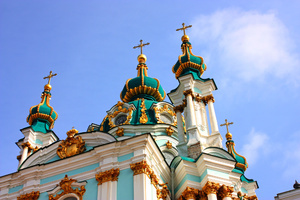 Kiev sights include two UNESCO World Heritage sites: Pechersk Lavra (Monastery of the Caves) and St. Sophia Cathedral. One shouldn't miss the Andriyivskyy Descent - a steep historic street paved with cobblestones and the awe-inspiring Art Nouveau-style House with Chimeras. The tour to the Lavra, set on 28 hectares of grassy hills above the Dnipro River in Pechersk is a must. The monastery's cluster of gold-domed churches is stunning. For Orthodox pilgrims, this is the holiest ground in the country. The lavra was founded by St Antony in 1051. He and his follower dug out a series of catacombs, for the reclusive monks to worship, study and live. When he died, his body was naturally preserved by the caves' cool temperature, and dry atmosphere and the mummies survive until today, confirmation to believers that he was a truly holy man. The above ground monastery prospered as well. 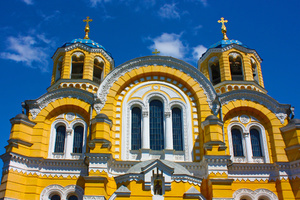 The Cathedral was built from 1073 to 1089 and became Kyiv's second great Byzantine-inspired church. The monastery was Kyivan Rus' intellectual center, producing chronicles and icons, and training builders and artists. 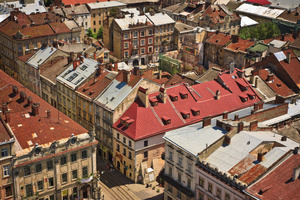 The tour to Lviv, the Unesco-listed city, will come as a shock. This city is the country’s least Soviet, and it shines similar authentic Central European charm as pre-tourism Prague, Vilnius or Kraków once did. Its mysterious atmosphere and lovely architecture, coffeehouses on ancient streets do not remind of Soviet brutalism. In Lviv, the Ukrainian national identity is the brightest and Russians are a minority here. Lviv has the best hotels and restaurants in the country. Tour centers with English-language information abounding, make this city Ukraine's premier destination. Odesa is Ukraine’s largest seaport and trade hub featuring a beautiful historic district and plenty of treasures waiting to be discovered on a guided private trip or exploring it independently. The architecture lovers can admire the splendid palaces and sophisticated blend of building styles. For holidaymakers, Odessa offers beautiful Black Sea beaches and a variety of entertainment - the day and night. Odessa is also famous for excellent restaurants offering fantastic food. 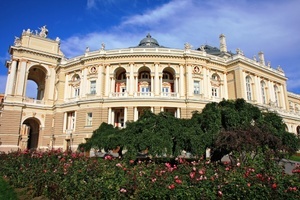 Odessa Opera and Ballet Theater building is one of the most beautiful in Europe. It was built in the 19th century by Austrian architectural studio Fellner & Helmer. Whatever Ukrainian trip you take - private or group sightseeing tour, cultural or nature lovers' or even one of the romance tours, you will find an authentic and friendly country offering its best.